Brutus was my first Bulldog and was purchased with the intention for show, unfortunately he did not turn out to be a show dog but with him everything started. 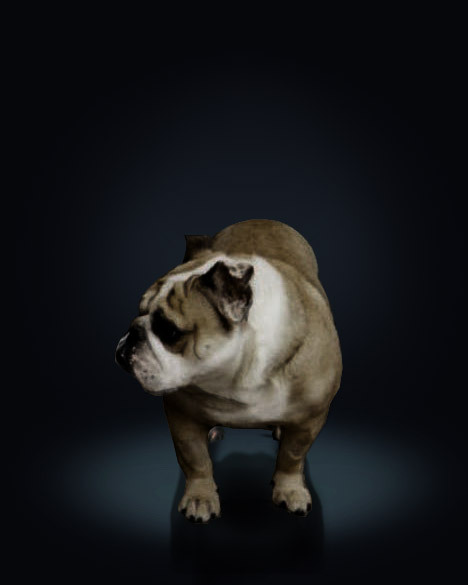 Everything started in early Spring of 1992, my dreams had been realised - I was getting my first my very own Bulldog - Brutus ! Unfortunately he suffered from bladder stoness and had to undergo lifetime long ongoing treatments but despite that he was always a trooper, so very patient and never lost his high spirit always happy to see us no matter how poorly he was. No friend could ever have been a better companion! He was the most gentle of natures, very loving and trusting . My second Daughter Nicole was born the year we purchased Brutus, both my girls Amber and Nicoley both grow up with him and Brutus was the best companion and friend I could ask for my children. We had the most wonderful 8 years possible with Brutus. Brutus will always have a very special place in my heart.....my brave little man.